HR: Before opening the first exhibition under your direction on 10th of March, you have reorganised the space of Grazer Kunstverein and announced “The Necessity of Art” (originally Von der Notwendigkeit der Kunst) written by the Austrian author Ernst Fischer in 1959 as your leitmotif for 2017. Can you tell me more about these two decisions? KS: I came across the writing of Ernst Fischer by chance, through another book that contained an essay by John Berger about the last day of Fischer’s life. It's titled ‘Ernst Fischer: A Philosopher and Death’. It was set in and around Graz. For the very simple reason of proximity, it captured my attention and made me curious about this Fischer character—of whom I had never heard. He was a writer, a politician, a poet, a philosopher, a dramatist, an orator, a journalist, an exile, a returnee. An interesting figure who saw art as not only a tool for recognising and changing the world, but also as something inherently magical. He believed in art as a way to see the potential in things: as a process much more than a product. This is what drew me into his admittedly dated but wholly thought provoking book: "The Necessity of Art". It turns out that Fischer is not so well known in Graz. For this reason, he struck me as an interesting spirit guide for the direction of the artistic programme. But what can a dead white man tell us about contemporary art today? The motive for reviving "The Necessity of Art" is an attempt to bring it into critical conversation with contemporary practice, and in many cases, radical, liberal, future-facing practices, with the incredible artists with whom we are working. 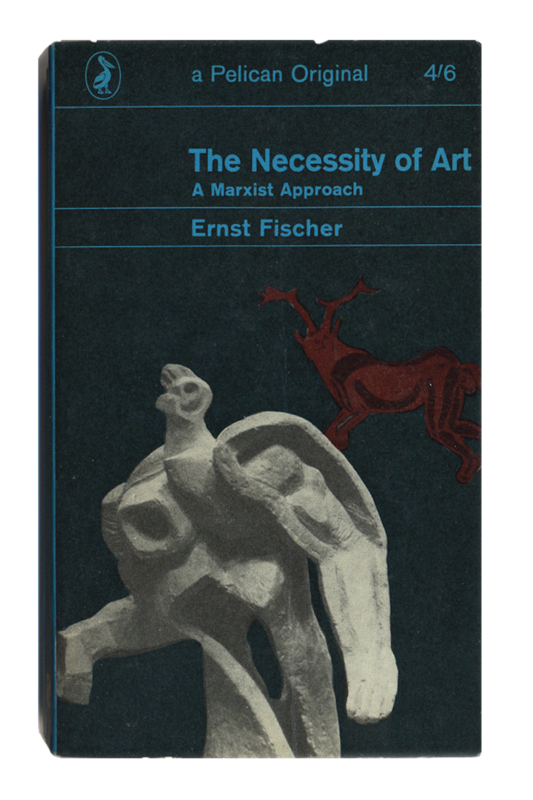 I am excited to read and re-read, evaluate, dispute, and discuss the claims and ideologies of Fischer, an active communist who fought against fascism, believed in the importance of finding sites of resistance, and read art through a Marxist lens. And though many of his ideas are questionable, and his phrasing somewhat old-fashioned, I find the direction and sentiment of his texts utterly compelling, even uplifting. Concerning the physical space of the Grazer Kunstverein: we decided to bookend the entire space with rooms that fall between use and display. Since the space expands rather into its length we decided to use the front and the back as meeting points. At the front we have the reception, the main office, the studio kitchen, and the Members Library. At the back, we have the studio/meeting room, the Ernst Fischer Reading Room, and the Elisabeth Printschitz Library. The rooms in between are dedicated to presentation and display. I hope that opening the space up in these ways will direct the flow and circulation of visitors throughout the entire building, rather than collecting all the energy in one concentrated area. As part of the new programme the studio is an important space, as we will be inviting artists to locate the production of new work here in Graz. View of Elisabeth Printschitz Library and Grazer Kunstverein Archive, Frühling/Spring 2017, Grazer Kunstverein. Photography by Christine Winkler. HR: You start your program with an exhibition displaying works by Isabella Kohlhuber, Isabel Nolan and Adam Zagajewski. What is the concept behind the exhibition? KS: These artists have been invited to present works that will linger in the space of the Grazer Kunstverein for some time. 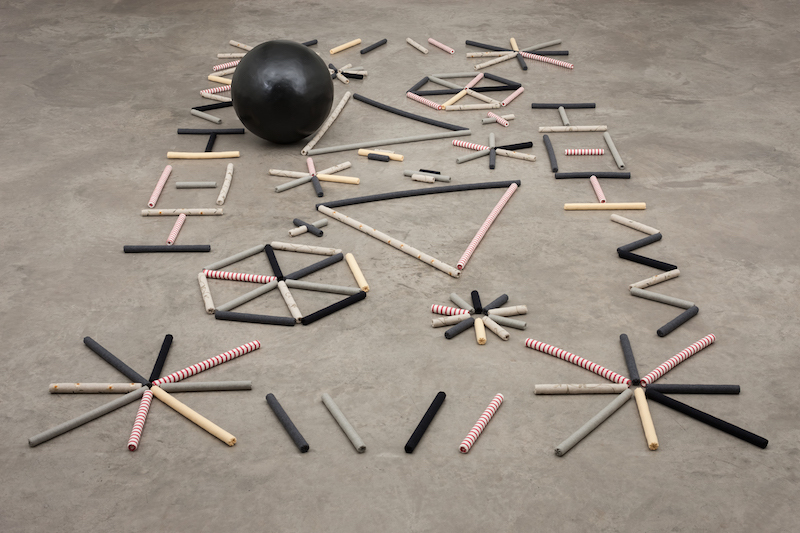 Isabella Kohlhuber's work includes furniture-sized sculptural objects, that operate between use and display depending on how they are presented or engaged with. Isabel Nolan's work, a sculptural rug, is made to be rearranged and reconfigured into different patterns—each one brining its own new meaning and dedication. Both works will stay with us for the whole year, moving through the building as the seasons change. Zagajewski's work is a poem, and so it too moves through the space, but in a less concrete way. HR: Besides the exhibition, new commissions by Céline Condorelli, Chris Evans with Moren Norbye Halvorsen and Fiona Hallinan will reopen the space. What should we be expecting here? Will every opening be accompanied by new commissions? KS: Yes, our focus is to produce at least one new commission each season. For spring, we have invited Chris Evans and Morten Norbye Halvorsen to produce a permanent sound-piece for the gallery—a jingle that is activated upon entry through any one of the six entrance doors to the Grazer Kunstverein. Fiona Hallinan has been commissioned to develop and realise a long-term collaborative project called "Fink’s". 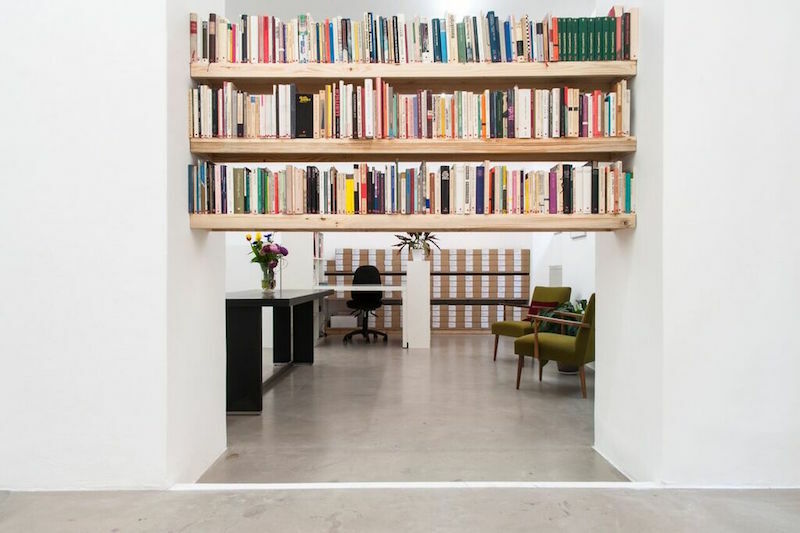 This is an experiment in hospitality, decidedly in lieu of a more commercially oriented café, the likes of which you might find at the entrance of any given art space these days. 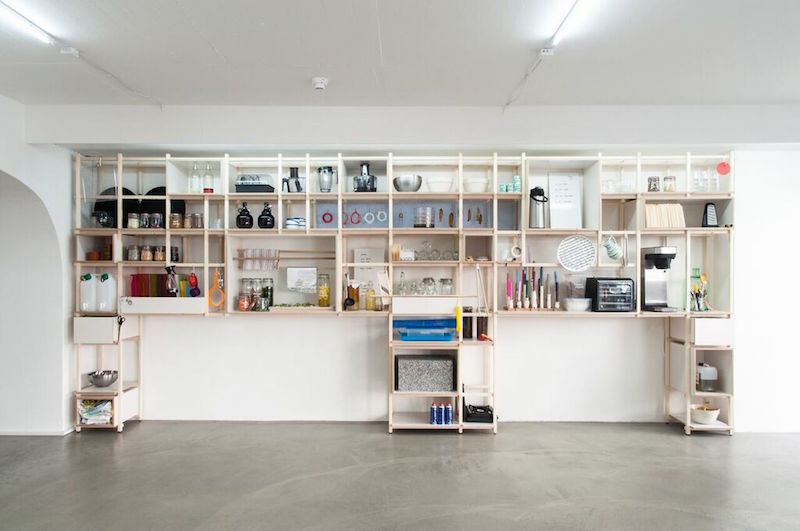 "Fink’s" operates as a library of tastes, the artist works with local producers from Styria and around, to collect ingredients, tastes, flavours and recipes, which will be offered to visitors in the form of a powder, made up of all the elements that have been collected. A new powder will be produced for each season, as a way of archiving a particular set of experiences at a particular time. Gradually over the next four years a library will be developed. We also invited Condorelli to adapt her work "Things That Go Without Saying", which was originally commissioned by the previous director Krist Gruijthuijsen in 2013, and realised in collaboration with Harry Thaler. This work continues to hold the Members Library, a growing collection of over 200 books that are selected and presented by our members. Above: Céline Condorelli, Things That Go Without Saying, 2013, extended commission for Frühling/Spring 2017, Grazer Kunstverein. Photography by Christine Winkler. 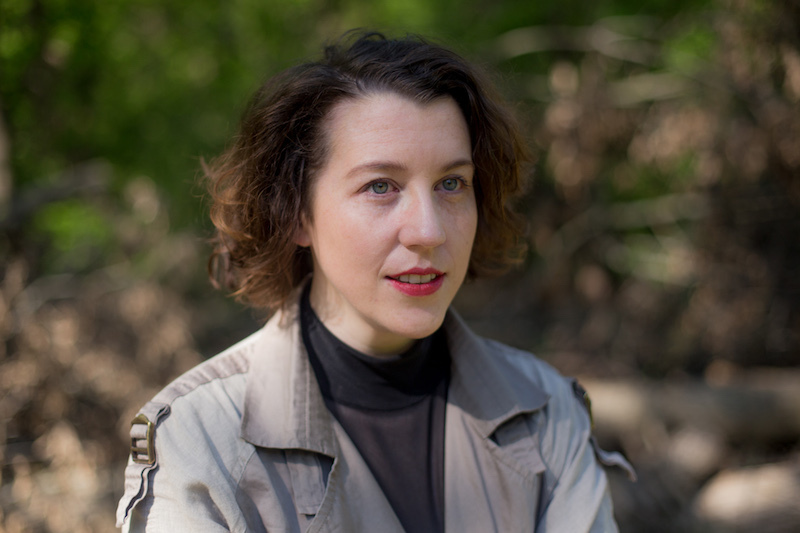 Below: Fiona Hallinan, Fink's, new commission for Frühling/Spring 2017, Grazer Kunstverein. Photography by Christine Winkler. HR: What exactly do you mean when you describe Grazer Kunstverein as a “living entity”? KS: Spaces often turn into the way they are being used. 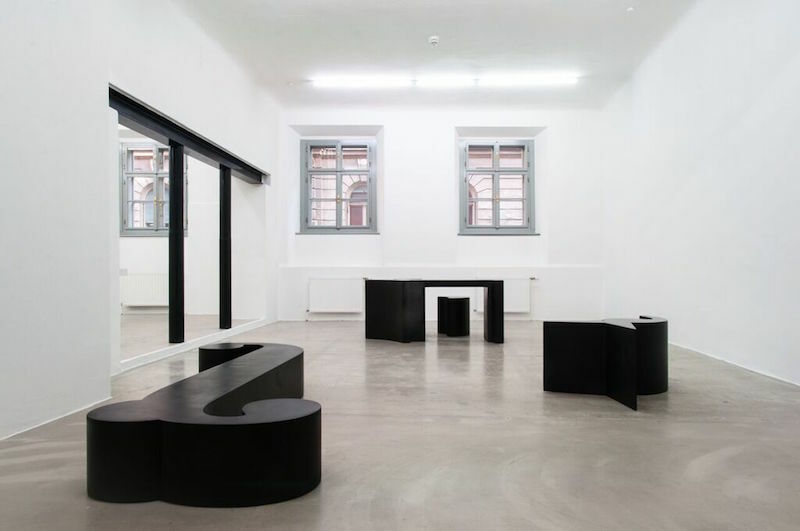 I see the Grazer Kunstverein as an active space, a physical building containing both the history and future of an institution, while at the same time, facilitating the production and presentation of art for artists and visitors. It’s a place of work and a mode of mediation. 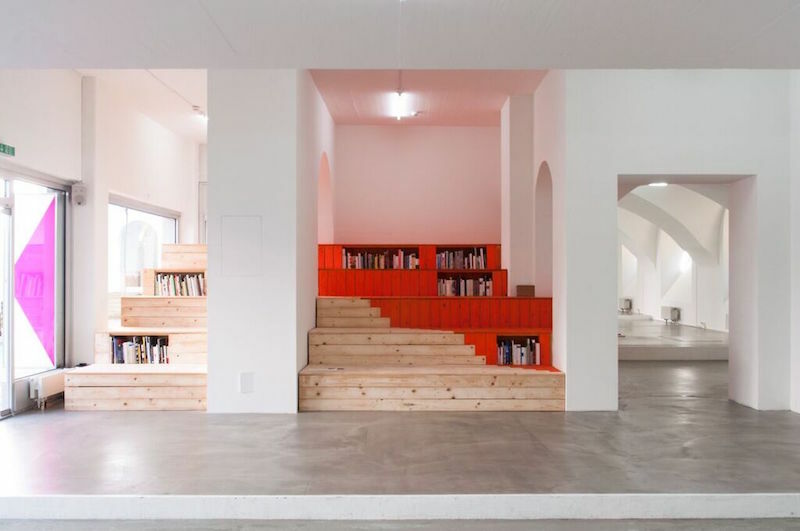 It needs to be malleable, a sanctuary and a studio, and accommodating, for artists with mischievous babies and for delicate, complex, intricate works of art. I’m interested in how we use the space, and in the possibility of it operating between function and display simultaneously; in how it will perform when people use it and move through it, and in what the potential for that might be. HR: How do you work as the curator? Do you have a vision or a plan for the entire period of four years or do you rather work step by step in order to see how things evolve? KS: As a curator I try to develop frameworks and structures that can be entered into by others. At the heart of my practice is the desire to work closely with artists in the development and realisation of new and compelling work. Everything else has to fall into place around that.